Dilpreet Singh, also known as Dil, recently graduated from Ohio State University with a Bachelor of Science in Biology. Fascinated by the biological sciences, especially the ones pertaining to human physiology and biochemistry, Dil decided to pursue a career in medicine. Dil is currently taking a gap year to engage in several medical-related research projects and to work at Nationwide Children’s Hospital. Soon after, he plans on attending medical school. I love dancing, particularly bhangra, and I love to travel. I also enjoy physical activity, whether it is lifting, playing a sport (basketball is my speciality), or being adventurous. Recently, I also got into investing in stocks. I was born in Punjab, so naturally my culture, roots, and society compelled me toward bhangra. Bhangra is where I found my combined interest of dancing and physical activity. At the young age of three, I began to do bhangra by mimicking dancers in music videos. Shortly after, I proceeded in the art by receiving training from experienced bhangra coaches. Not only was I taught the moves and correct form, but also the history, origin, and fundamentals of bhangra. Before I ever became a proper dancer, I had to genuinely respect everything, from the props/instruments to the vardis and the pagh. Since then, I have always stayed in touch with bhangra, however my curiosity and ambition lead me to venture out and try other styles of dance. This includes, but is not limited to, bollywood, modern, and hip-hop. This enabled me to become a more diversified dancer. What team(s) do you dance for? Why did you join? What positions have you held? When I was younger, I danced for multiple non-competitive teams, however competitively I have danced with OSU Genesis, Buckeye Bhangra, Steel City Bhangra, and Spartan Bhangra. 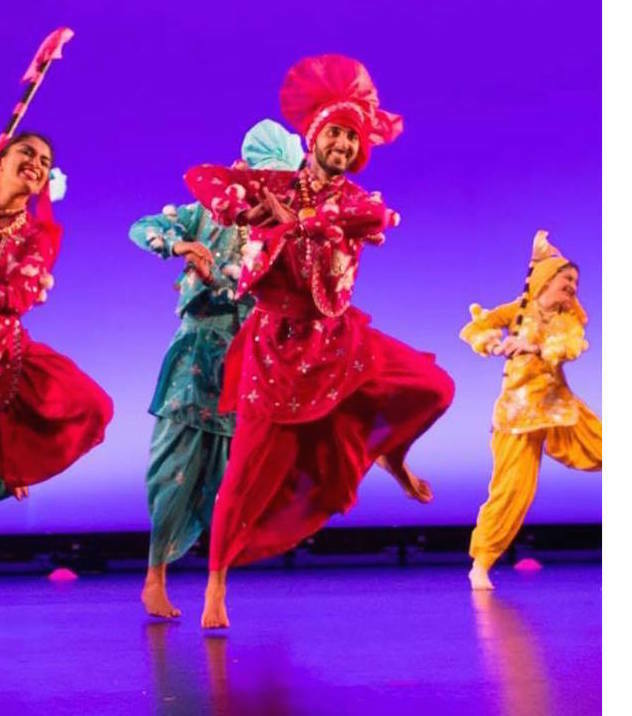 With OSU Genesis, I helped choreograph/lead some of the the bhangra segments, was involved with creating stunts, and also became a member of the executive board in order to help plan the entire season, storyline and theme. After my two years with OSU Genesis, I decided to join Buckeye Bhangra. There, I became the captain and choreographer for the team. Once I graduated OSU, I became a free agent and danced with other teams such as Steel City and Spartans. I have also choreographed or coached bhangra for many other teams in both the fusion and bhangra circuit. What has been your favorite moment so far? What are you most excited for? I have had many memorable moments in my dancing career. Every time I step on the stage in front of a packed and loud audience fuels my desire and passion for dance even further; these are very important moments for me. Some of my other favorite moments include being able to visit Florida and dance at Bollywood America with OSU Genesis, leading Buckeye Bhangra to Bhangra Blowout, and doing the routines at a plethora of social events (weddings, cultural shows, etc.) I am most excited to expand my dancing career and being a judge for BA 2016 is a great first start. Please list 3 fun facts about you. I once had a talking parrot in India, who could remember people’s faces and names. I played the viola for 4 years, but was not very good at it. I have been electrocuted, hit by a truck while riding a bike, competed in the finals of a basketball competition with a severely injured ankle, broke an arm while falling off the pegs of a different bike, danced at a competition with a back injury, etc. Please list any social media accounts that you would like people to follow.